The #SheVai wedding in Udaipur was all about memorable ceremonies incorporating ethnic accents and modern decor in a stunning location. 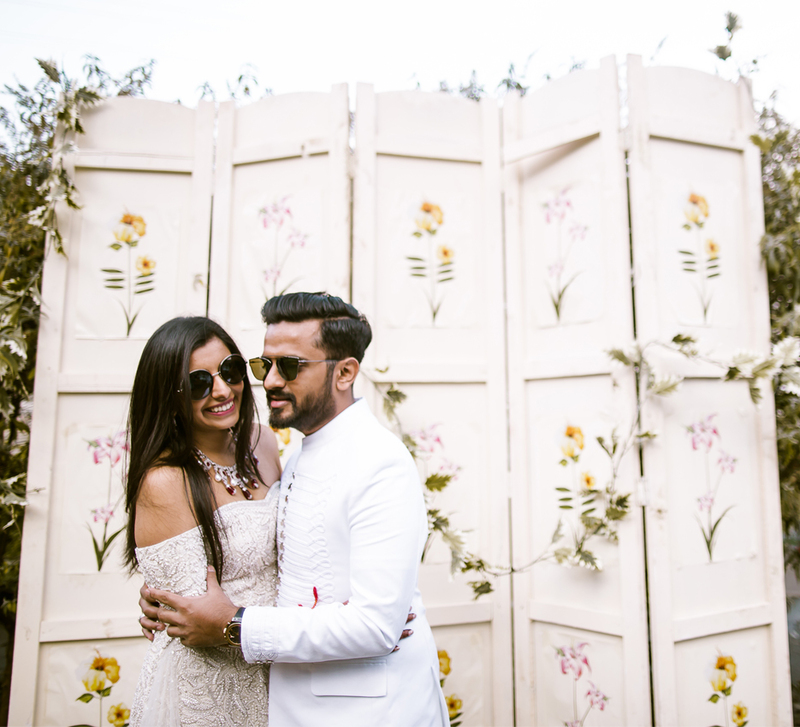 Vaibhav and Sherin's destination wedding in Rajasthan saw guests being treated to a range of exciting events and attractions that included folksy festivities, yummy street snacks, lots of dancing and high emotions - all of which were captured by WeddingSutra Favorite - Rajesh Digital. Sherin shares, "For my mehndi, we went for a proper Rajasthani folk theme with dancers and stalls serving up ice slushies and fresh coconut water to our guests." The decor was colorful and vibrant with fresh flowers and colorful installations. 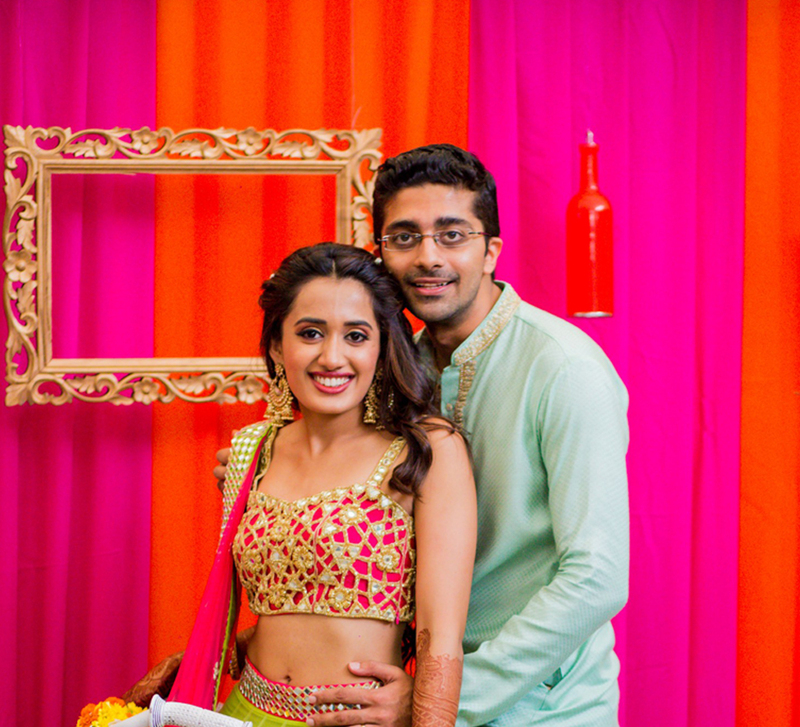 Sherin looked radiant in a beautiful, colorful lehenga, while Vaibhav sported a yellow kurta. The guests relished great food, and the ladies enjoyed getting mehndi applied to their hands. The cocktail bash was designed around the theme of love. Colors such as red and black comprised the decor's color palette. Warm lights illuminated the space and added subtle elegance. The resort boasts of a great pool, so the couple decided to host a pool party alongside their haldi ceremony. The decor at this fun outdoor event included unique items in shades of blue, white and yellow. Some ladies also wore coordinating orange tee shirts. 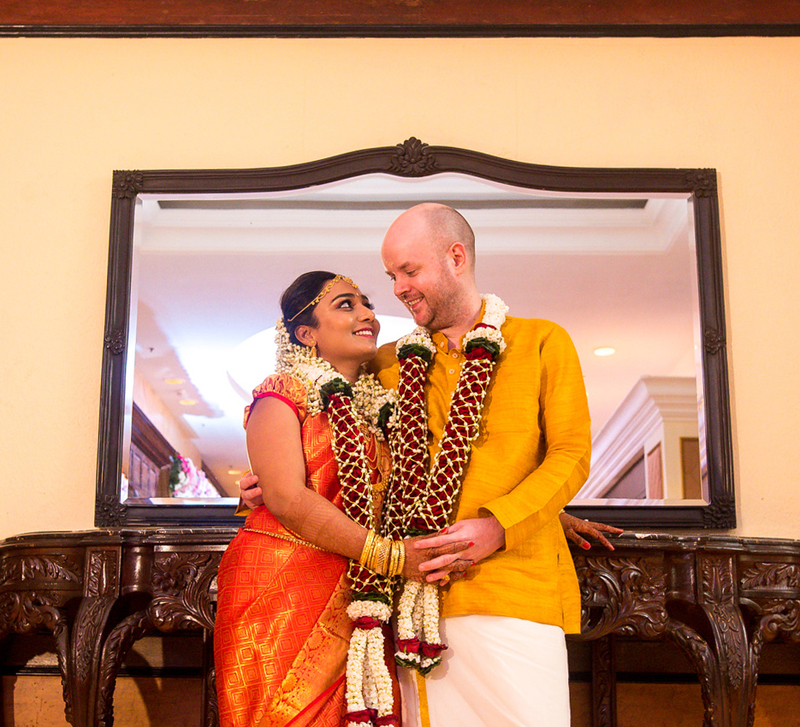 The couple chose a palette of mixed colors that complemented the beautiful backdrop. The bride’s velvet lehenga was dark maroon, and Vaibhav's beige sherwani complemented her ensemble. The picture perfect setting was made even more so with the outdoor ceremony, as their loved ones were the witness to their vows.